Every once in the while, the road gives me one of those awesome firsts – like the first time I saw the Rocky Mountains, or Lake Superior off of Highway 17, or the Badlands in Alberta. I’m still waiting for my first Northern Lights sighting, although I did get to see a moose close up on the side of the TransCanada Highway last week. 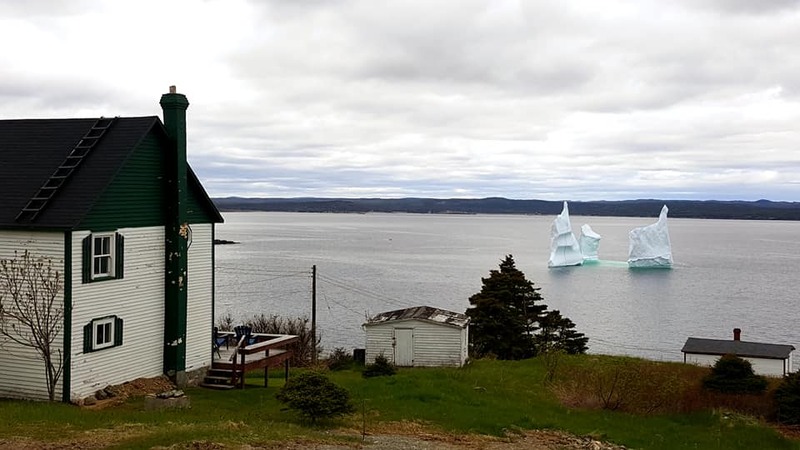 But besides moose, Newfoundland gave me another unexpected first on this recent tour – ICEBERGS! Nature’s art installations. Spectacular sights. I’m heading south to play some summery gigs in the northeast USA – Fairfax, VA, Montclair, NJ, and Dover, DE this week, as well as some radio spots. Keep your ears open – I’ll keep my eyes open! Next post: Shout out to home base!